Add creativity to your lesson plan. Lesson plans and activities for teaching about inventions by increasing creativity and creative thinking. The lesson plans are adaptable for grades K-12 and were designed to be done in sequence. When a student is asked to "invent" a solution to a problem, the student must draw upon previous knowledge, skills, creativity, and experience. The student also recognizes areas where new learnings must be acquired in order to understand or address the problem. This information must then be applied, analyzed, synthesized, and evaluated. Through critical and creative thinking and problem-solving, ideas become reality as children create inventive solutions, illustrate their ideas, and make models of their inventions. Creative thinking lesson plans provide children with opportunities to develop and practice higher-order thinking skills. Throughout the years, many creative thinking skills models and programs have been generated from educators, seeking to describe the essential elements of thinking and/or to develop a systematic approach to teaching thinking skills as part of the school curricula. Three models are illustrated below in this introduction. Although each uses different terminology, each model describes similar elements of either critical or creative thinking or both. The models demonstrate how creative thinking lesson plans could provide an opportunity for students to "experience" most of the elements described in the models. After teachers have reviewed the creative thinking skills models listed above, they will see the critical and creative thinking and problem-solving skills and talents that can be applied to the activity of inventing. The creative thinking lesson plans that follow can be used across all disciplines and grade levels and with all children. It can be integrated with all curricular areas and used as a means of applying the concepts or elements of any thinking skills program that may be in use. Children of all ages are talented and creative. This project will give them an opportunity to develop their creative potential and synthesize and apply knowledge and skills by creating an invention or innovation to solve a problem, just as a "real" inventor would. Invite a local inventor to speak to the class. Since local inventors are not usually listed in the phone book under "inventors", you can find them by calling a local patent attorney or your local intellectual property law association. Your community may also have a Patent and Trademark Depository Library or an inventor's society that you may contact or post a request. If not, most of your major companies have a research and development department made up of people who think inventively for a living. Next, ask the students to look at the things in the classroom that are inventions. All the inventions in the classroom that have a U.S. patent will have a patent number. One such item is probably the pencil sharpener. Tell them to check out their house for patented items. Let the students brainstorm a list all of the inventions they discover. What would improve these inventions? In order to guide your students through the inventive process, a few preliminary lessons dealing with creative thinking will help set the mood. Begin with a brief explanation of brainstorming and a discussion on the rules of brainstorming. Brainstorming is a process of spontaneous thinking used by an individual or by a group of people to generate numerous alternative ideas while deferring judgment. Introduced by Alex Osborn in his book "Applied Imagination", brainstorming is the crux of each of the stages of all problem-solving methods. Allowed People tend to automatically evaluate each suggested idea--their own as well as others. Both internal and external criticism is to be avoided while brainstorming. Neither positive nor negative comments are allowed. Either type inhibits the free flow of thought and requires time which interferes with the next rule. Write each spoken idea down as it is given and move on. Alex Osborn stated that "Quantity breeds quality." People must experience a "brain drain" (get all the common responses out of the way) before the innovative, creative ideas can surface; therefore, the more ideas, the more likely they are to be quality ideas. Hitchhiking occurs when one member's idea produces a similar idea or an enhanced idea in another member. All ideas should be recorded. Outrageous, humorous, and seemingly unimportant ideas should be recorded. It is not uncommon for the most off-the-wall idea to be the best. Fluency the production of a great number of ideas. Flexibility the production of ideas or products that show a variety of possibilities or realms of thought. Originality the production of ideas that are unique or unusual. Elaboration the production of ideas that display intensive detail or enrichment. For practice in elaboration, have pairs or small groups of students choose a particular idea from the brainstorming list of invention ideas and add the flourishes and details that would develop the idea more fully. Allow the students to share their innovative and inventive ideas. Step 2: Once your students have become familiar with the rules of brainstorming and the creative thinking processes, Bob Eberle's Scamperr technique for brainstorming could be introduced. Substitute What else instead? Who else instead? Other ingredients? Other material? Other power? Another place? Combine How about a blend, an alloy, an ensemble? Combine purposes? Combine appeals? Adapt What else is like this? What other idea does this suggest? Does past offer parallel? What could I copy? Minify Order, form, shape? What to add? More time? Magnify Greater frequency? Higher? Longer? Thicker? Put to other uses New ways to use as is? Other uses I modified? Other places to use? Other people, to reach? Eliminate What to subtract? Smaller? Condensed? Miniature? Lower? Shorter? Lighter? Omit? Streamline? Understate? Reverse Interchange components? Another pattern? Rearrange another layout? Another sequence? Transpose cause and effect? Change pace? Transpose positive and negative? How about opposites? Turn it backward? Turn it upside-down? Reverse roles? Step 3: Bring in any object or use objects around the classroom to do the following exercise. Ask the students to list many new uses for a familiar object by using the Scamper technique with regard to the object. You could use a paper plate, to begin with, and see how many new things the students will discover. Make sure to follow the rules for brainstorming in Activity 1. Step 4: Using literature, ask your students to create a new ending to a story, change a character or situation within a story, or create a new beginning for the story that would result in the same ending. Step 5: Put a list of objects on the chalkboard. Ask your students to combine them in different ways to create a new product. Let the students make their own list of objects. Once they combine several of them, ask them to illustrate the new product and explain why it might be useful. Before your students begin to find their own problems and create unique inventions or innovations to solve them, you can assist them by taking them through some of the steps as a group. Select one to work on. Think of many, varied, and unusual ways of solving the problem. List the possibilities. Be sure to allow even the silliest possible solution, as creative thinking must have a positive, accepting environment in order to flourish. Select one or more possible solutions to work on. You may want to divide into groups if the class elects to work on several of the ideas. Improve and refine the idea(s). Share the class or individual solution(s)/invention(s) for solving the class problem. Solving a "class" problem and creating a "class" invention will help students learn the process and make it easier for them to work on their own invention projects. Now that your students have had an introduction to the inventive process, it is time for them to find a problem and create their own invention to solve it. Step Two: Ask the students to list the problems that need to be solved. Step Four: Begin an Inventor's Log or Journal. A record of your ideas and work will help you develop your invention and protect it when completed. Use Activity Form - Young Inventor's Log to help students understand what can be included on every page. Using a bound notebook, make notes each day about the things you do and learn while working on your invention. Record your idea and how you got it. Write about problems you have and how you solve them. Write in ink and do not erase. Add sketches and drawings to make things clear. List all parts, sources, and costs of materials. Sign and date all entries at the time they are made and have them witnessed. Step Five: To illustrate why record-keeping is important, read the following story about Daniel Drawbaugh who said that he invented the telephone, but didn't have one single paper or record to prove it. Long before Alexander Graham Bell filed a patent application in 1875, Daniel Drawbaugh claimed to have invented the telephone. But since he had no journal or record, the Supreme Court rejected his claims by four votes to three. Alexander Graham Bell had excellent records and was awarded the patent for the telephone. Now that the students have one or two problems to work on, they must take the same steps that they did in solving the class problem in Activity Three. These steps could be listed on the chalkboard or a chart. Analyze the problem(s). Select one to work on. Select one or more possible solutions to work on. Improve and refine your ideas. 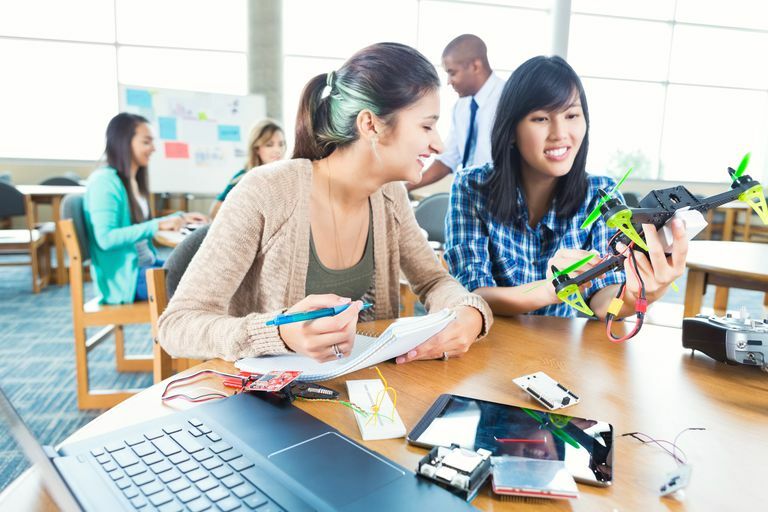 Now that your students have some exciting possibilities for their invention projects, they will need to use their critical thinking skills to narrow down the possible solutions. They can do this by asking themselves the questions in the next activity about their inventive idea. Can it be made easily? Will it cost too much to make or use? Will it withstand use, or will it break easily? Is my idea similar to something else? Identify the problem and a possible solution. Give your invention a name. List the materials needed to illustrate your invention and to make a model of it. You will need paper, pencil, and crayons or markers to draw your invention. You might use cardboard, paper, clay, wood, plastic, yarn, paper clips, and so forth to make a model. You might also want to use an art book or a book on model-making from your school library. List, in order, the steps for completing your invention. Think of the possible problems that might occur. How would you solve them? Complete your invention. Ask your parents and teacher to help with the model. What - describe the problem. Materials - list the materials needed. Steps - list the steps to complete your invention. Problems - predict the problems that could occur. Students can be very fluent when it comes to listing ingenious names of products out on the market. Solicit their suggestions and have them explain what makes each name effective. Each student should generate names for his/her own invention. Your students will be able to recall many slogans and jingles! When a slogan is named, discuss the reasons for its effectiveness. Allow time for thought in which the students can create jingles for their inventions. A radio promo could be the icing on a student's advertising campaign! A promo might include facts about the usefulness of the invention, a clever jingle or song, sound effects, humor... the possibilities are endless. Students may choose to tape record their promos for use during the Invention Convention. Collect 5 - 6 objects and give them new uses. For instance, a toy hoop could be a waist-reducer, and some strange looking kitchen gadget might be a new type of mosquito catcher. Use your imagination! Search everywhere--from the tools in the garage to the kitchen drawer--for fun objects. Divide the class into small groups, and give each group one of the objects to work with. The group is to give the object a catchy name, write a slogan, draw an ad, and record a radio promo. Stand back and watch the creative juices flow. Variation: Collect magazine ads and have the students create new advertising campaigns using a different marketing angle. Few, if any, projects are successful unless the child is encouraged by the parents and other caring adults. Once the children have developed their own, original ideas, they should discuss them with their parents. Together, they can work to make the child's idea come to life by making a model. Although the making of a model is not necessary, it makes the project more interesting and adds another dimension to the project. You can involve parents by simply sending a letter home to explain the project and let them know how they may participate. One of your parents may have invented something that they can share with the class. Plan a Young Inventors' Day so that your students can be recognized for their inventive thinking. This day should provide opportunities for the children to display their inventions and tell the story of how they got their idea and how it works. They can share with other students, their parents, and others. When a child successfully completes a task, it is important that (s)he be recognized for the effort. All children who participate in the Inventive Thinking Lesson Plans are winners. We have prepared a certificate that can be copied and given to all children who participate and use their inventive thinking skills to create an invention or innovation.